While the X-pole Xpert and Sport are the best choice for poledancers who want to train at home, they cannot be used at ceiling heights above 3.37 meters. Additionally, for commercial and heavy duty usage such as a poledance studio, performance stage or dance clubs, we offer you a more robust and more suitable alternative. 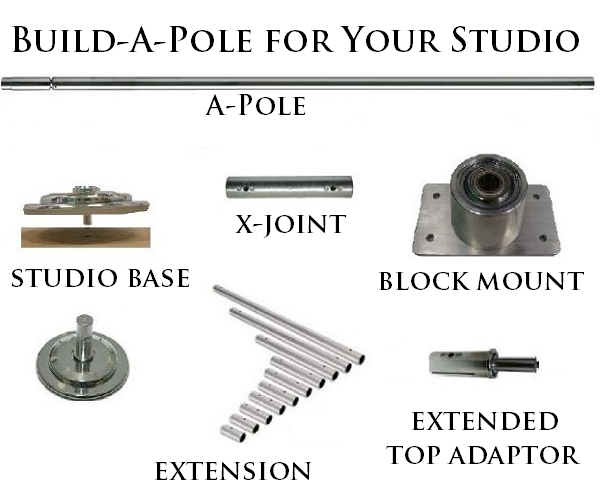 X-POLE’s ‘Build-A-Pole’ customized dance pole is dual-lined, offering added strength and rigidity for commercial usage. The ‘Dual-line’ technology ensures that the poles can endure a higher level of professional usage. The Build-A-Poles have been used worldwide at national and international competitions by the most advanced Pole athletes. • Flexibility – standard X-POLE sets can only reach a maximum height of 3.37m. 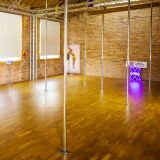 With Build-A-Pole, it can be customised up to 4.5 meters ceiling height to fit any pole studio or commercial locations. • It is customised to suit any height and still preserve its strength and rigidity. • It can be combined with the Pole Away System to offer a quick installation and deinstallation system for a dance studio or commercial enterprise. To meet your special needs, at the moment we only deliver these customised XPoles on request by email to info@poleshop.de. Note: The Build-A-Pole dance pole must be attached to the ceiling with a block mount (vaulted block mount for vaulted ceilings / regular ball mount for horizontal ceilings). Therefore drilling is required.